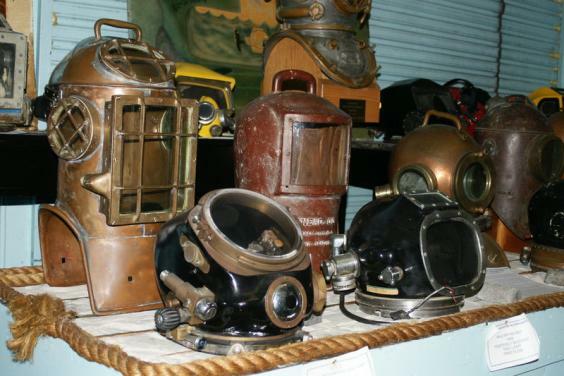 The Man in the Sea Museum is dedicated to preserving the history of diving. 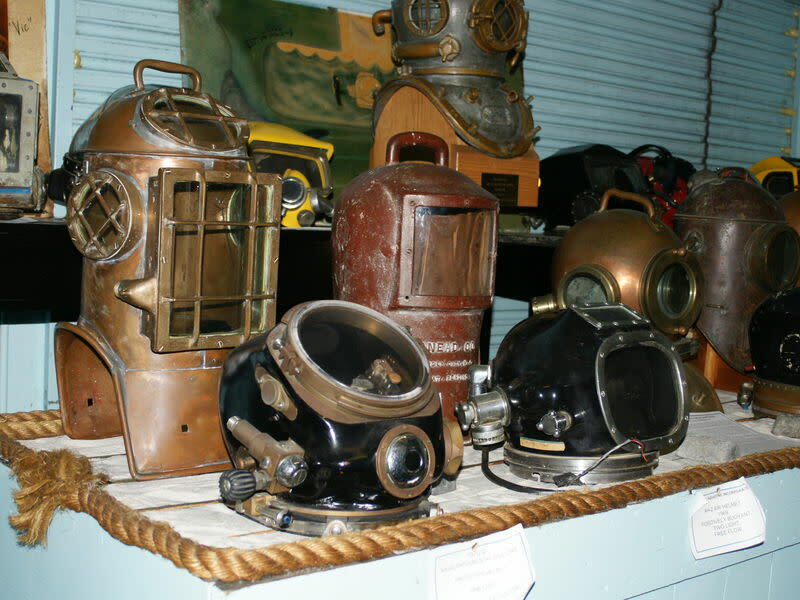 We have a large collection of rare and one-of-a-kind exhibits and antique diving equipment. 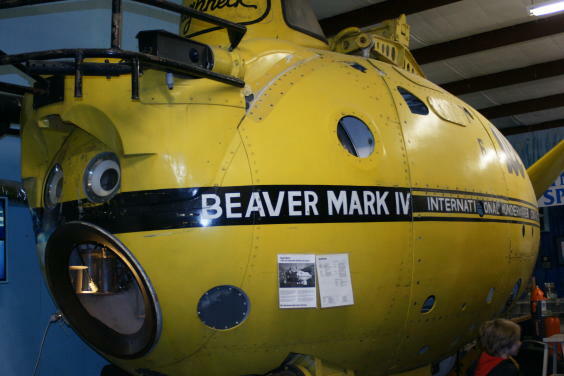 The Man in the Sea Museum is also home to SEALAB-I, which was the United States Navy's first underwater habitat. Come out today and learn about past and present dive equipment, including commercial and naval equipment, vehicles and habitats. You can also climb through a submarine and discover treasures recovered from sunken ships dating back to the 1500's. Visit the museum today and discover the wonders of the undersea world and mankind's efforts to explore the ocean depths. We are using the past to build the future. Make plans to visit this unique one-of-a-kind museum located in beautiful Panama City Beach, Florida. Ocean Week is in recognition of the 50th anniversary of SeaLab, the US Navy’s historic 11 day undersea experiment to an ocean depth of 193’ that proved man can live, work and explore underwater for extended periods. 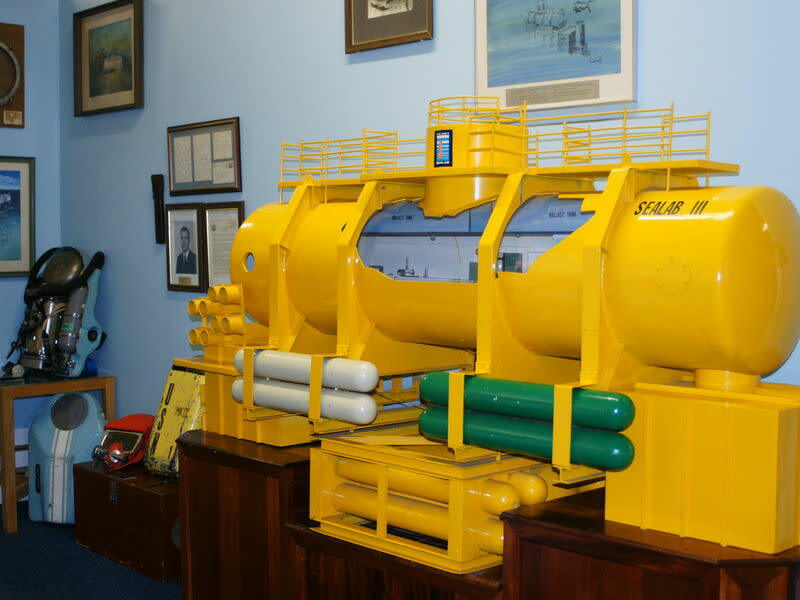 SeaLab began as an unassuming scientific project at the Mine Defense Laboratory in Panama City Beach, Florida. In 1963, visionary Dr. George Bond along with his team members: Dr. Walt Mazone, Bob Barth, Lester Anderson, Sanders Manning, Dr. Robert Thompson along with Mercury 7 Astronaut Scott Carpenter set out to change the world of ocean exploration. July 2014 marks the 50th anniversary of this historic event. The Navy’s SeaLab program was headquartered, built and tested at U.S. Navy Station - Panama City Beach, Florida. Little did Dr. Bond and his crew of misfits know that their underfunded program would change how we would live and work in the world’s oceans. It is for that reason the Man in the Sea Museum and Florida State University – Panama City worked with Representative Jimmy Patronis to establish “Ocean Week” to ensure that this important part of Florida’s history does not get lost in the abyssal of time. 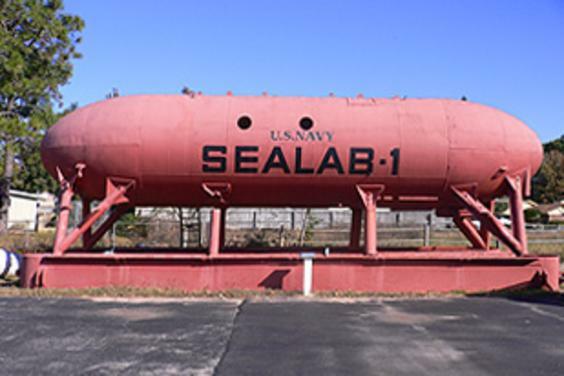 The U.S. Navy’s SeaLab program was the first of many ocean based programs in Florida that deserves recognition. “Ocean Week” is a time for all Floridians to recognize the importance of our waters in work and play. It is a time for educators to excite the next generation to gain a better understanding of the vast undersea world and to inspire them to explorer and discover what lies within the last frontier on earth. National Marine Sanctuary and for two decades it has continuously conducted research to better learn how to protect our ocean resources. October 2013, The Man in the Sea Museum delivered over 2200 free passes to 4th grade classes in public and private schools, as well as home schooled students, to promote Bay County’s local history. Representatives for The Man in the Sea Museum feel that it is important to instill a sense of pride and accomplishment in our youth. 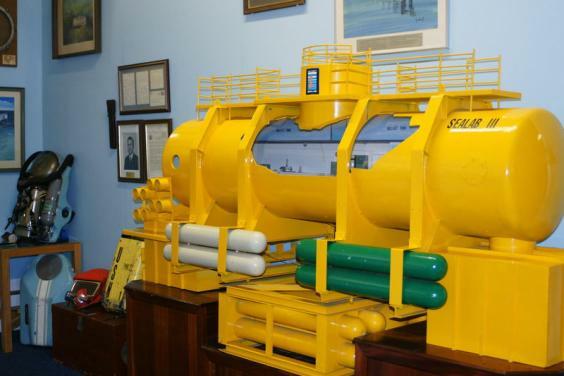 “We (The Man in the Sea Museum) recognize that Florida has been in the for front of Ocean Research, development of undersea technology and advances in diving techniques for over 60 years, but few of our residents know the impact that we have made in world”.